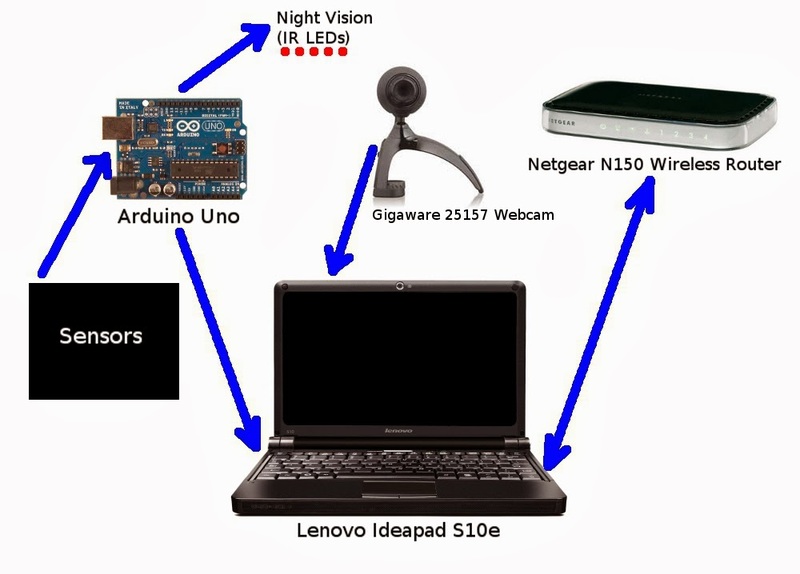 Salvius uses a built-in web server to process video data from the camera and to make it visible over a wireless internet connection. 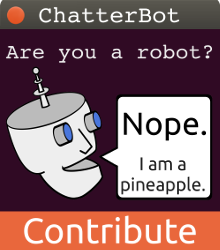 I have seen a lot of people posting questions in different forums on how to put a server in their robot and how to connect to that server over a wireless internet connection. The solution is very simple. All you need is a laptop or any other computer, a wireless router and a copy of Ubuntu Server Edition. Ubuntu is a free Linux operating system that has been used on many robots including Salvius. Here are my suggestions for what to use for a laptop and router. Salvius currently uses a Lenovo net book as a server but that is simply because that is what I had available at the time. Obviously you can use any computer you have. You will also need a router. Salvius uses a Netgear Wireless Router but again; you can use any router that you already have. Next, all you have to do is turn on your router and plug it into your net book with an Ethernet cable. Installing Ubuntu is very easy once you burn it to disk or a flash drive. Just put the disk/flash drive in the computer and then turn the computer on. You should see prompts for an installation. Just follow the prompts and everything will be setup correctly. When Ubuntu server starts you will see an IP address in the text right after you login. If you enter this IP into the browser of another computer while connected to the wireless router you will be able to connect to your server. You should see a white webpage with some text which will tell you that it is working. If you are more familiar with programming and servers you will easily be able to connect to this server remotely and make any modification that you want to it. P.S. I will be making a video on how to do this pretty soon so stay tuned! nice and i can assume you're an expert on this subject. Well with your permission let me to grab your feed to keep up to date with forthcoming post. Thanks a million and please continue the gratifying work.